A newspaper report warns New Zealanders to brace for another round of invasive surgery after a recall of more hip implants. According to The Dominion Post, Smith & Nephew R3 hip implants were recalled after unusually high rates of replacement surgery were required in Australia and the United Kingdom. The report mentions a similar recall of DePuy all-metal hip implants from 2010. According to the New Zealand Orthopaedic Association, more than 25 per cent of patients who received the DePuy hip implants needed to get them replaced. Like the DePuy model, the latest recalled hip implants are the “metal-on-metal” variety, in which both the ball and socket are coated with metal. Initially marketed as more durable than other types of implants, the metal-on-metal variety has proven to be more prone to breaking down, causing join dislocation and severe pain for recipients. The metal-on-metal implants have also been problematic because of cobalt and chromium debris breaking off and getting into patients’ soft tissues. According to The Dominion Post, cobalt and chromium debris the size of several grains of sand can be toxic in the bloodstream. The report mentions that New Zealand has no approval process for medical devices. Although the United States has an approval process, many consumer groups have recently criticized it for gaping loopholes. Under the U.S. Food and Drug Administration’s process, devices must be approved if they’re more-or-less similar to products that already made it onto the market – even if those previously approved products were subsequently recalled over safety concerns. 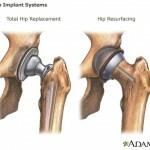 DePuy hip implants were approved under that loophole. So were vaginal mesh implants, which are supposed to treat urinary incontinence and pelvic organ prolapse, but have injured thousands of patients because of their tendency to erode. You should consult with a doctor if you have any ongoing symptoms or health concerns from either device. If you have significant injuries, you should also consult with a DePuy hip lawyer to discuss your legal rights.